O2 appears to have begun rolling out Android 2.2 to some HTC Desire customers. We've been getting early reports from readers that they have been prompted to install a new over the air (OTA) update to their HTC Desire, and it turns out to be Android 2.2. Forum users are corroborating the claims, but there are some that are claiming that the new update is causing the phone to freeze. Potzy on the O2 official forum has said: "Maybe spoke too soon, I think the update may have bricked my phone. It won't start up now, gets stuck on the O2 blue startup screen." UPDATE: Nearly every user that's installed the O2 OTA update offered on their phone is reporting the phone is freezing at the boot stage, so perhaps it's best to wait for advice from O2 direct before accepting the update. UPDATE 2: It seems that most people are seeing the update working fine on their phone, so early reports of blue screens of death may be a little premature. 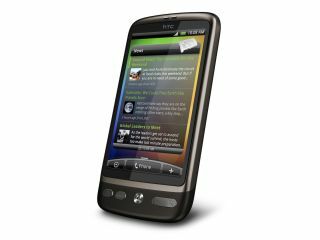 O2 had confirmed it has launched Android 2.2 for the HTC Desire, so check your phone's firmware to see if there's a FroYo surprise waiting for you. The new Android 2.2 update is offering all the improvements HTC has put in place, like HD video recording and improved speeds. We've contacted O2 for an official response, so we'll let you know when you'll be getting your Android 2.2 update if you're an O2 HTC Desire customer.